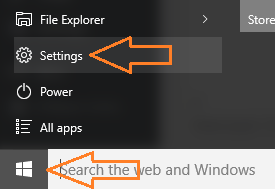 Windows by default lock your screen by showing a screensaver or turning off the display. This is a good method to secure your PC when you are away for a certain period of time. You do not shut down your computer every time you leave it. Lets say you left your computer and forget to comeback for few hours. In this time, some other person can access your files and data very easily in absence of screen lock. Since the screen gets locked, anyone hitting your PC will have to fill the password or PIN. The only problem is the timing of the lock out. Since, the default time is set to be generally 5 minutes, it locks out very time and may annoy some users, who do not want to enter password every time they want to access their PC. 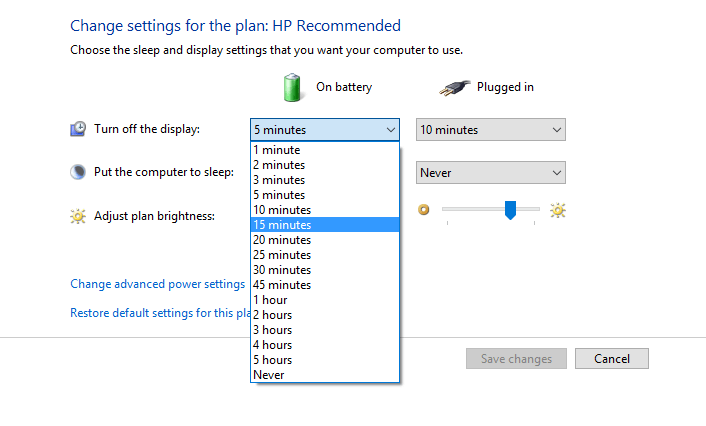 The possible solution is to increase the time of turning off the display. 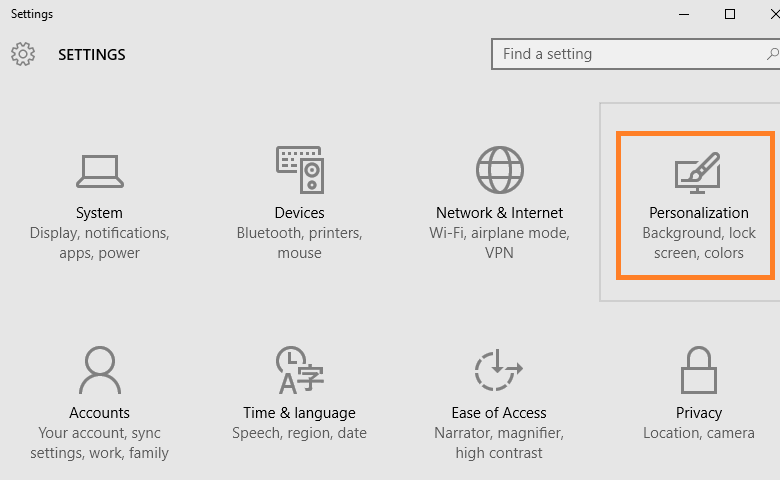 Step 1 – Click on windows key in the extreme bottom left of your screen and then click on settings. Step 2 – Click on Personalization in the setting window. Step 3 – Now, in the left menu click on Lock screen. After that scroll down in the right side and click on Screen timeout settings. 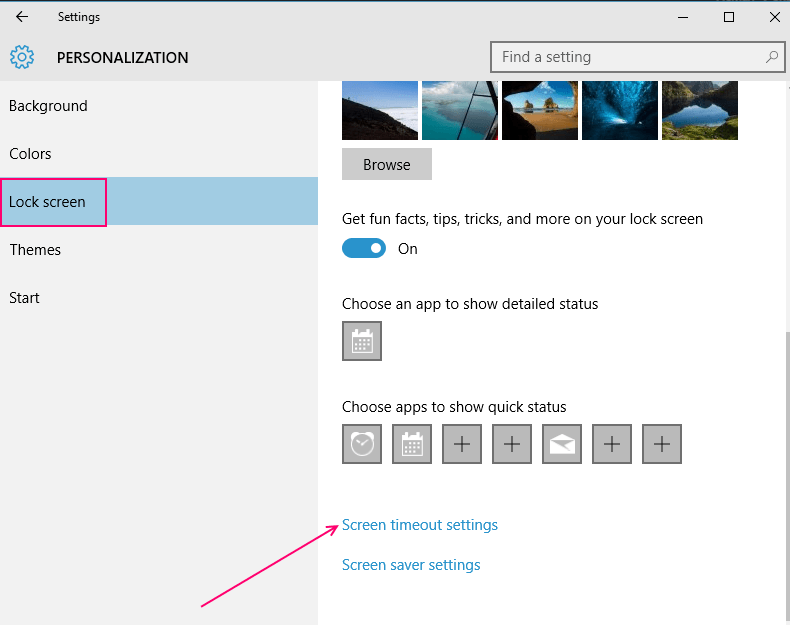 Step 4 – Now, in the next screen change the time settings to a higher level. If you want to disable them, choose never from the dropdown. Step 1 – Press windows key + x to open the menu in left and then click on control panel. 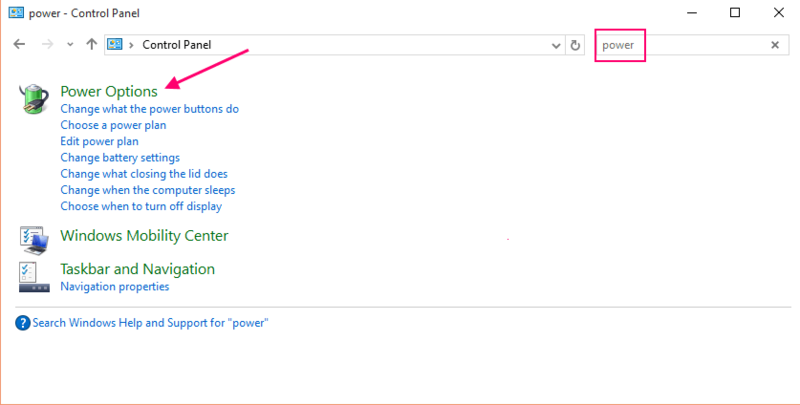 Step 2 – Search for power options in the search box. Then click on power options from the results obtained. 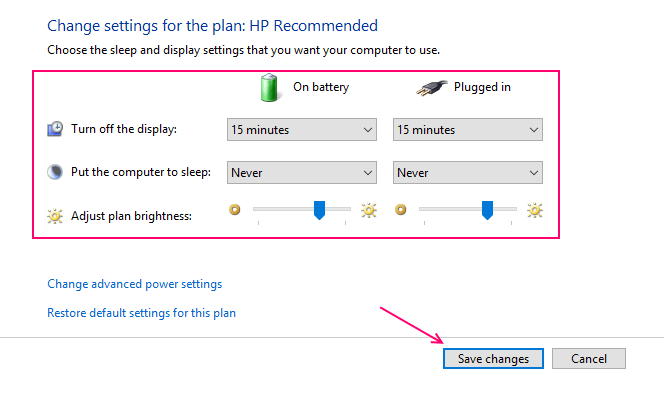 Step 3 – Now, once your reach the power option window, just click on change plan settings of your current plan which is selected. Step 4 – Now, click select from dropdown the timing and change it to your desired time interval. You can also select never as a setting to completely disable this feature. Step 6 – Do similar settings for both on battery and plugged in option. 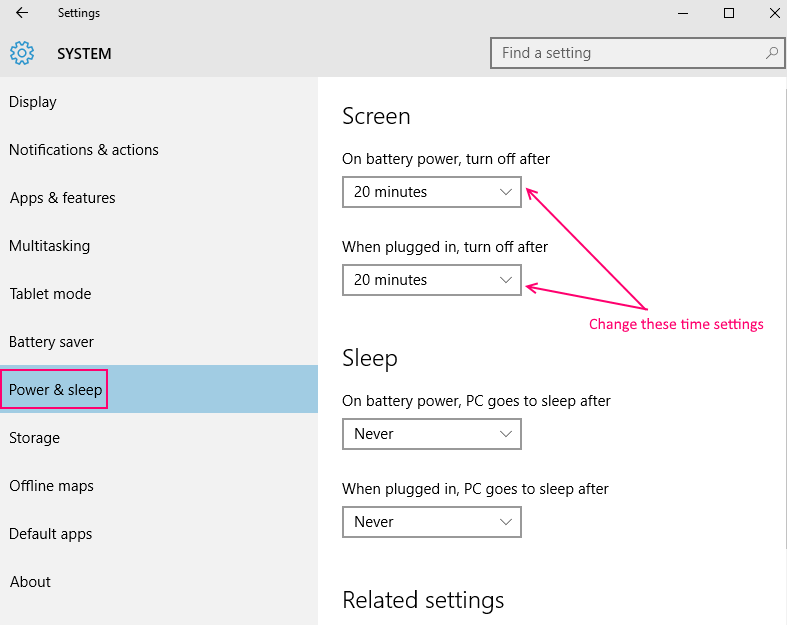 Similarly, change put computer to sleep settings also as per your wish. Finally click on save changes. Got one thing fixed. Thanks. Where do I find help on the Windows 10 volume of the speakers? Tried to watch a youtube video to help with ‘black screen’ and the speaker volume was too low to hear. I changed it to maximum everywhere I could find anything ‘audio’ and nothing helped.